19 August, 2013 (Houston, TX): The Houston Astros front office has a bold new approach to winning: don't. The ball club has mired in mediocrity over recent seasons but market research suggests a new breed of ironic fans are keeping ticket sales afloat - and management is looking to cash in. "Our new target fan isn't all that interested in the outcome of the game," said new President of Baseball Operations, Reid Ryan. "If [winning] is the only thing you're interested in, go see the Texans. Our fans care more about the atmosphere, the aesthetics, and having a good time." These new fans, mostly millennials, are showing up by the dozens to "root" for their favorite team. Fans like Brooklyn transplant Teena Robinson, 23, are just the type the Astros hope to woo. "My friend was like, 'wouldn't it be funny to go to an Astros game,'" recalls Robinson, "and I was like, 'are they still even, like, a team? But the game was totally fun, I think, I don't really remember how it ended. Also, the stadium has wi-fi and it's quiet so I actually got a lot done." Astros marketing first noticed the trend of ironic fandom on social media in 2011 and were quick to capitalize. "We're doing what we can to keep these new young fans digging our team," says owner, Jim Crane. "We went with the retro look this year, you know the kids eat that up. I mean, have you seen that blue number? You buy a jersey like that I bet you get a free PBR." 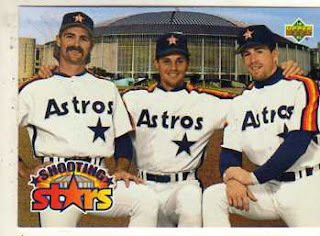 Longtime fans have also found an appreciation for the Astro's unconventional approach. "I really prefer their old stuff," says lifelong fan Chuck Bennison, "but the ridiculously low payroll really gives the team indie cred. They just signed these two obscure players from Mexico City; they're really big down there. You probably haven't heard of them. Plus, we got a kid named Hoes, how great is that?" Looking to 2014, management has indicated it's commitment to the lovable loser status by trading off any players with potential to sell out and start winning. "Part of our appeal involves staying out of the mainstream," says Crane, "so don't expect to see this team on television anytime soon."